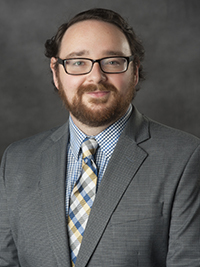 Pat Kane joined VCU’s University Public Affairs staff in June 2015, and has served as a social media strategist since February 2019. Pat is a member of the Richmond Chapter Public Relations Society of America and a past officer of the Society of Professional Journalists, Virginia Pro Chapter. Before entering public relations, Pat spent eight years as a reporter and multimedia editor for The Progress-Index of Petersburg, garnering more than 20 Virginia Press Association awards. After growing up all over the globe as a Navy brat, Pat attended VCU – spending countless hours at the offices of The Commonwealth Times – graduating in 2007 with a bachelor’s degree in mass communications (print journalism concentration). He returned to complete a master's of strategic public relations in 2018. Pat resides in the Tri-Cities with his family, including two wannabe Instagram-famous cats.